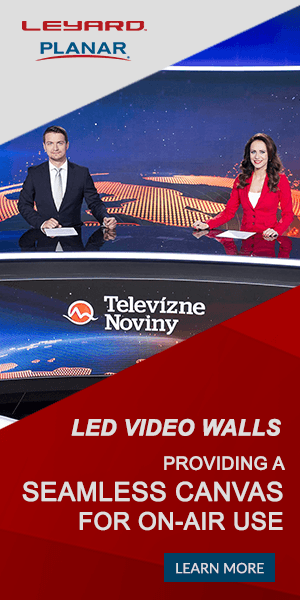 Virtual set design and software providers make virtual, 3D environments a reality for a wide range of news, sports, entertainment and other broadcast productions. By combining state of the art 3D models with advanced software and hardware, these solutions can create a stunning virtual set environment to make any productions stand out. These designs and software can integrate with both tracking and trackless systems, as well as a variety of other broadcast graphics software. At FX we offer the only truly in-house, turnkey Broadcast Design Solutions, including Set Design, Motion Graphics Design, AR – VR Design, Set Fabrication, and Lighting Design and Equipment. A key difference that maximizes value and efficiency. With it all under one roof, every aspect of your project can be handled in-house by our team of experts — opening the lines of communication between our team and allowing us to deliver the best value. From start to finish, our process is set up to be highly interactive. We have the Tech Edge, working closely with Integrators to deliver state-of-the-art components to help you Deliver the Story. Team DDG believes scenic design must be results oriented—they focus on your strategy as the basis of the design development. Whatever your challenge, Team DDG works hard to uncover meaningful distinctions about each project through collaborative client conversations. Those distinctions are then translated into purposeful scenic environments—solutions that lift your brand to its fullest expression, setting you apart from your competition. Team DDG creates designs that MOVE audiences! DDG provides complete turnkey solutions for news, sports, and lifestyle entertainment. ‘Designer Direct’ services include scenic design, construction, facility integration, newsrooms, lighting distribution, lighting equipment, lighting direction, scenic electronics, and large format graphic design.